We’re not sure about the name, as Deja vu provides the type of modern interior which most people would never have experienced before. There are dozens of stunning lamps reminiscent of bird cages hanging from the ceiling, dramatically contrasted by the dark walls. 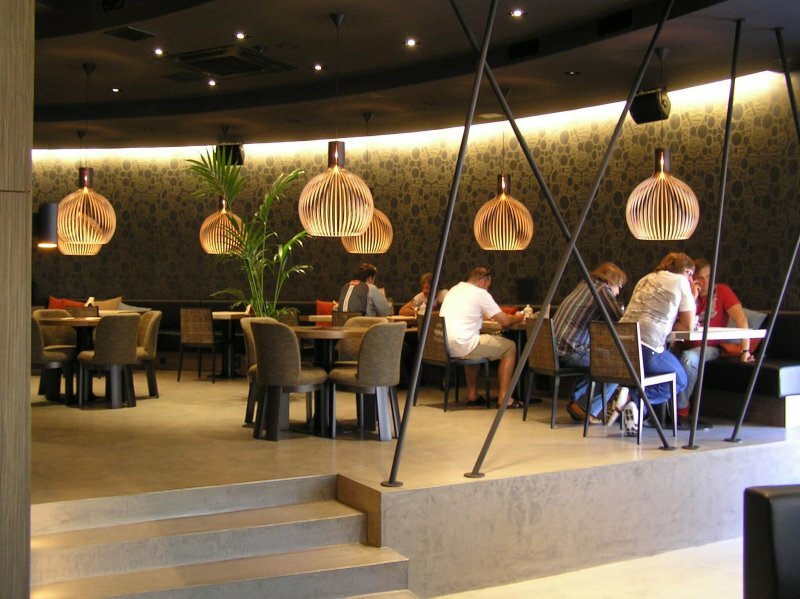 Smart split-levels provide space for dining, lounging or perching around the futuristic looking bar. Deja vu transforms from dining into a club atmosphere with DJs on Friday and Saturday nights. The menu also offers something for everyone. While bouncing to the beat of the music during a Friday lunchtime, we perused the nouveau Italian, more simple pizzas or the Japanese menu for something light. 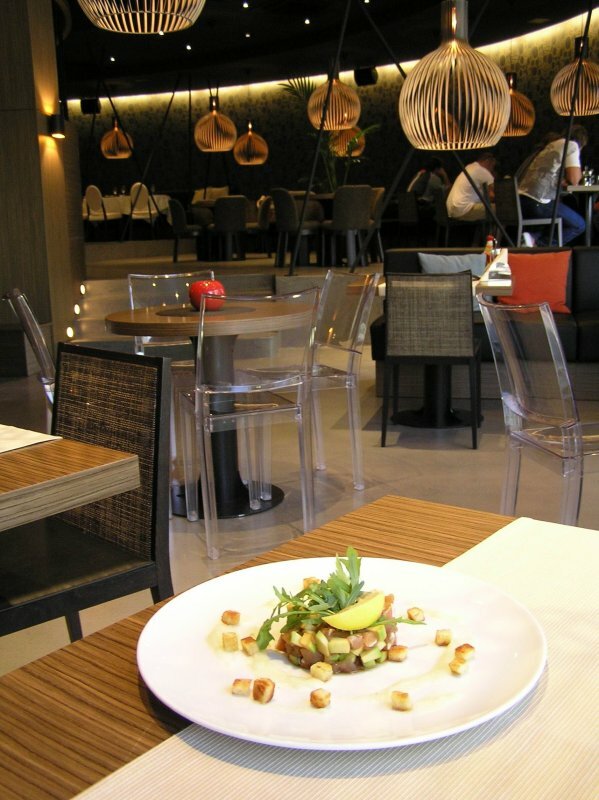 In the end, Mediterranean won us over; namely the Tartara di tonno (€ 9.40) starter of very tender raw tuna soaked in soy and combined with avocado. For a main the sliced duck breast with sweet balzamico sauce was a touch dry, but attractively presented with herb baked potatoes and fresh herbs (€ 10.80).